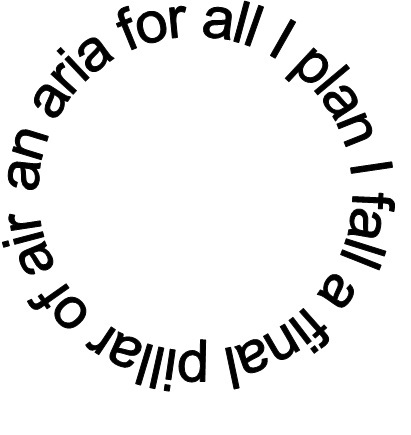 An aria for all I plan. This fragment appears on the first page of Ana’s notebook of poems. 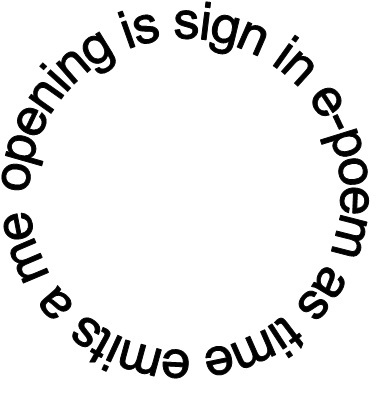 It is an infinite palindrome or ring palindrome, as the symmetry is only completed by starting again. A final pillar of air. Feblesse1 vessel before zeno-zone zen. 1. Feblesse – Feeble. Spenserian word for feebleness; here used as an adjective. Or can I sniff up desserts? Like Nile falling in eb and flow. I made tardy her aim. Ode-reversing I sign is revered. 1. Mummia: Substance used for embalming mummies.